I just love the latest release by Lawn Fawn, there was so many sets of dies and stamps that I need. A few got to move in with me. Ok more than a few. But not enough, I'll probably get some more at a later time ;) Anyways. 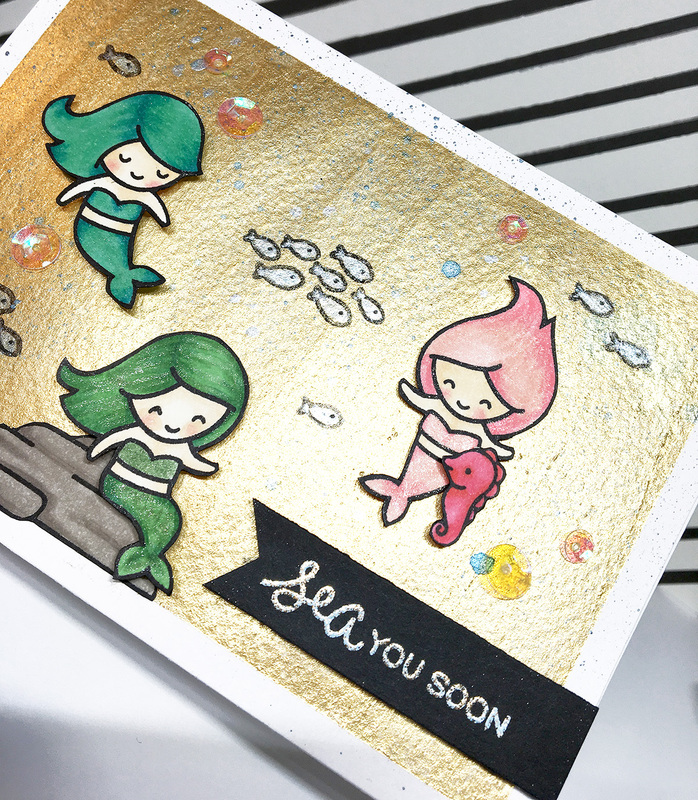 I made a card with mermaids on a golden background. I just played with my Spectrum Noir AquaTints and was making a full background to see how opaque the gold paint was. Pretty opaque it turned out. I put my mermaids on it and kept it as it was, I just splattered som silver ink on it to make bubbles. The fish are painted with silver AquaTints. 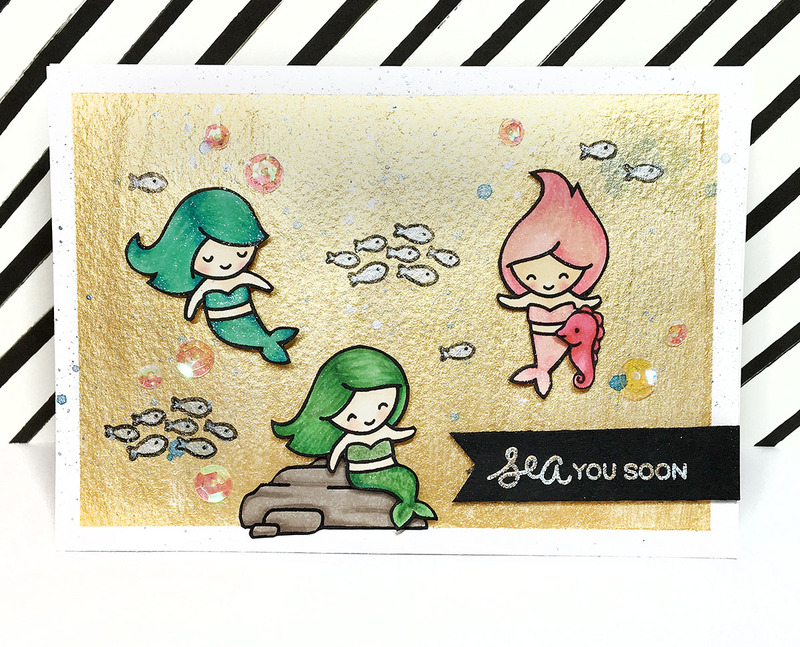 I colored the mermaids with Spectrum Noir markers and added Spectrum Noir Sparkle pens for extra shimmer.